I always looked at electronics in wonder, and I always liked circuits. I remember during my high school I have created a project with four light bulbs, powered by a battery: two in series and two parallel to demonstrate how the electricity was splitting between the two. I found it fascinating, but I never managed to get back into it. I have four plants on the window of my kitchen at the moment: a (now dead :'( ) rosemary, a parsley, an orchid and a basil. I never knew when to water them. I never knew if I gave too much water, or too little. On top of that, different plants have different needs, so you have to keep track of it and can’t just water equally. In the past I have discovered that some of the plants were drowning in water, which was collected in the bottom of the pot, making the roots mostly mouldy and in the end causing the plant to die. On top of understanding the water needs, I wanted to create an automatic water plant system, which would keep the plant well hydrated automatically, while I could follow what was happening from a web interface. At the same time, I wanted to explore the robotics world, and to have a project where I could use the Robotic Operative System ROS. After a bit of thinking, I’ve created a Gardu, which is an automatic way to keep track if the soil irrigation, and having the possibility to follow it from afar. Gardenio stores the value for that sensor, finds the associated plant, and responds with the threshold of minimum soil irrigation value for that plant back to the Gardu. So far I’ve managed to finish the soil sensor acquisition, while I have an early prototype for the automatic watering. That’s when the rosemary died, eheh. I’m still sorting out the water pump, due to the problem with the wiring on the circuit. This is the current circuit for now (the servo is not here). The soil sensors part works like a charm and they gave me no real hard time, the servo/pump combination instead it’s a little more complicated to handle. They need external power, which is provided by the battery, but because they are connected on the same circuit, they do not work reliably at the moment. It seems that a possibile solution would be to use a UBEC. The inner red part rotates, do the top hole in the green part is in axis with the one in the red part, which then is in axis with the blue tube which will be connected with each plant. The idea is that only minimal amount of water will go towards the other plants, and most of it will go to the target plant. You can see it on OnShape here. After some quick testing, I have a strong feeling that this is not gonna work, and the design may have to change. So, given the automatic water system is still a work in progress, this time I will also be able to track the thirst of the plants from far away. The race is on: will I be back before the plants will go completely dry?How many will I loose this time? Future will tell. to new features or security releases, it’s very easy to keep up. Luckily, latest pip has now the --outdated function, which makes very easy to snipe these packages. It would be good to have something that finds the outdated packages, installs the new stable and then update the requirements. It would be very nice to have this used as one of the pre-check before a Pull request, which will give the ability to know if we have the latest packages in the code or not. On that regard I’m pretty excited by this tool called beefore, which I found listening to Talk Python To Me, which in turn I recommend. So I was really waiting on the classic Annual Review which wordpress was sending out every year to write a bit about 2016 (for example this is the one about 2015), but instead this year nothing arrived in my mailbox. Digging into the problem it seems that WordPress (the company behind it, technically speaking) was actually building these reports by hand, and therefore it was extremely resource intensive process. You can find more info on this thread. The gist is, it was too costly, so they decided to not do it this year, and maybe restart with a more automated system next year. I guess a big thank you is in order for the other annual reviews that were available in the past, then. But fear not! I decided to look at the stats myself, and while the virtual fireworks will not be available, we can still have a look at my 2016 posting activity. I’ve published a whooping 5 posts in 2016. To be honest I thought I had published fewer posts. It was a good surprise. They have a peculiar distribution: we have 2 in January, 1 in February, 1 in March and 1 in December. I guess there are several factors that have concurred to this kind of pattern, most importantly that I’ve got busy in the middle of the year, I guess with work and with my wedding as well :D. This blog had 46,223 Views and 37,954 Visitors in 2016. Pretty happy with these numbers TBH, given that is a super niche blog talking about very sparse array of arguments that interest me somehow, so readers never know what they are gonna find here. Interestingly two posts written in 2016 got quite a little bit of traction, in particular one about my Apollo laptop, and another one on how to run Webex on Linux. In details, we had 7,825 Visits for the Webex one, and 1,930 for the Apollo post. 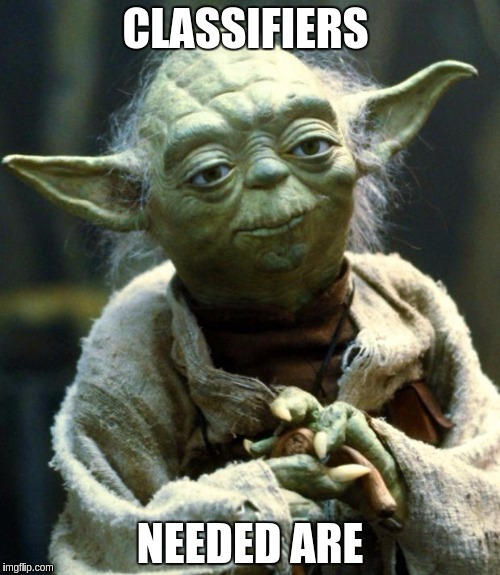 So far, my best post is What do I do when my Pull Request does not merge automatically in master? with 17,025 Visits, sporting 10,000 more visits than the best 2016 post. The bar Cart post didn’t do too bad, with its honest 23 Visits :P. Given that it was published on the 5th of December, it had less time to build up so it is kind of expected. I’m confident it will in time, maybe. Well then, this was just a quick home-made annual review for 2016, let’s see what is gonna happen in 2017. Once again, Happy New Year! 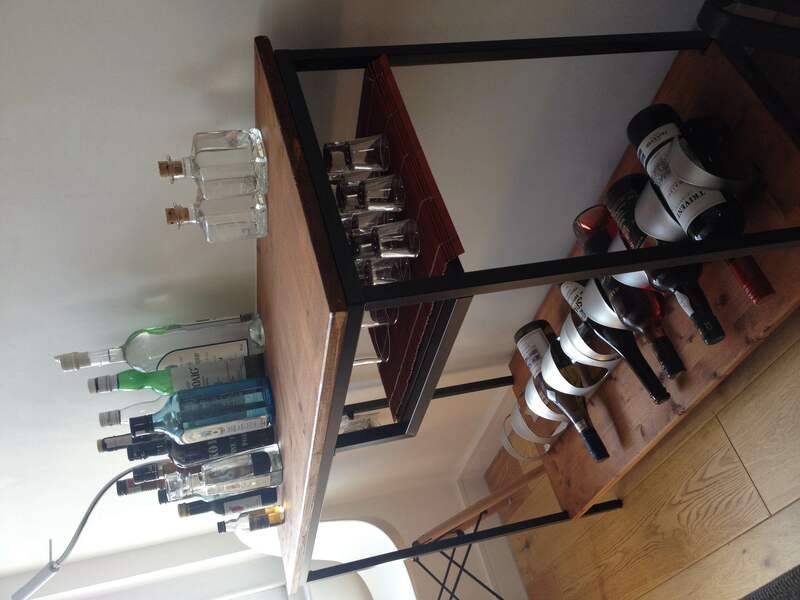 When we moved into our new house, we have decided to build a bar cart, because we always wanted one, but we never had the space and the time to do it. 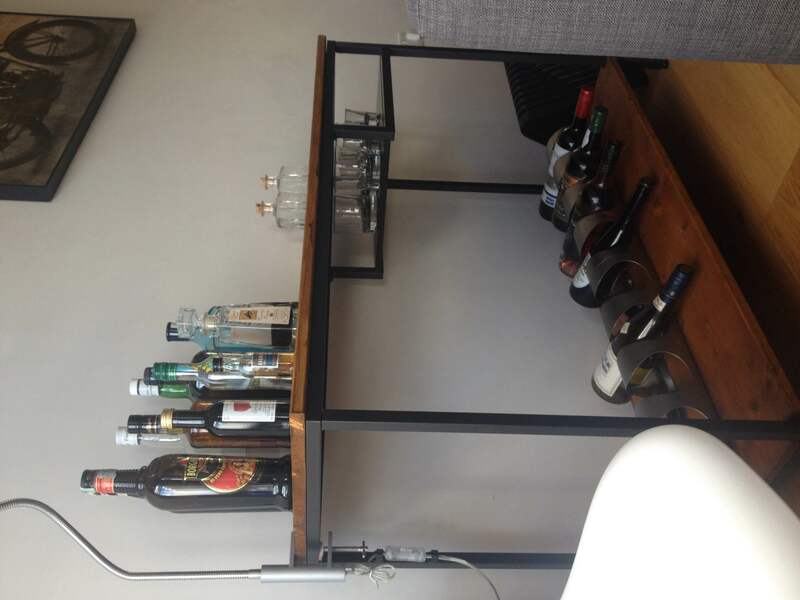 After looking online, we have found this post of people hacking an ikea laptop table and making a pretty sweet looking bar cart. So we went into the same process, and try to replicate the same design. It was pretty easy, because most of the components were exactly the same (basically all the ikea stuff maps one to one), with the main difference on the source of the wood. In the original post this was sourced from Home Depot, here in the UK we got it from Home Base. In case you are wondering we’ve got two pine wooden slates of 50 cm, which we have cut to measure and painted. I used to have only virtualenvs. 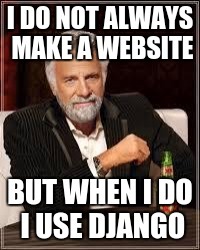 Then I moved only to use conda. Then I was on the position that I had to use either one or the other one, and I have happily switched to use pyenv as a way to manage both conda and virtualenv python enviroments. You can always pick both interpreter version Python 2.7 or 3.4. I have just noticed that my ipython notebook couldn’t acccess the shared sqlite and readline libraries, which is bad, ’cause my history was not saved, and the readline support makes everything a little bit more enjoyable. I have found the solution on stackoverflow.